Titan ReadyRoofer Fall Protection Kit, 50 ft. The Honeywell Complete Roofer's Fall Protection System surpasses all of the requirements needed to attain a complete fall protection solution for roofing applications. 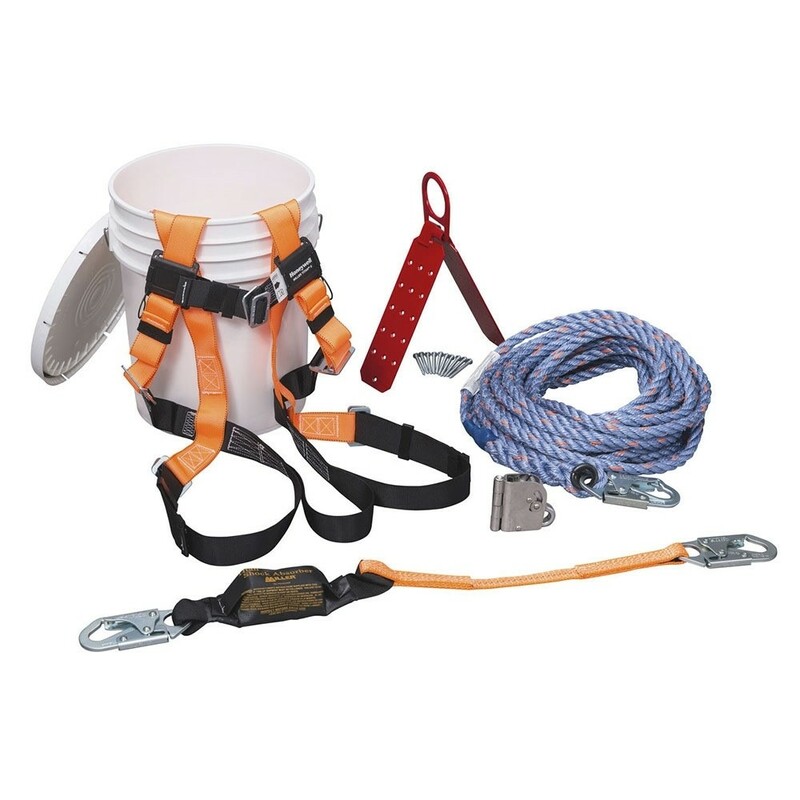 This easily accessible roofer's kit includes: lightweight full-body harness, reusable roof anchor (attachment ring included), compact training rope grab, shock-absorbing lanyard, high-strength rope lifeline and waterproof container. The 5/8-in copolymer rope lifeline for this fall protection system measures at 50 ft. (15 m) long. Providing all of the necessary equipment needed for roof safety and compliance, the Honeywell Complete Roofer's Fall Protection System meets OSHA, ANSI and CSA standards.